Jojo's Bizarre Adventure, the ongoing anime series that started in 2012 and is based on Hirohito Araki's manga series of the same name, has seen a rise in worldwide popularity over the last five years. Jojo's Bizarre Adventure is comprised of 8 different parts, all with different subtitles and all starring a different protagonist related to the Joestar family, while characters from previous parts sometimes make return appearances. And as with all popular shonen anime series, it was only a matter of time before Jojo's Bizarre Adventure got its own fighting games. But which two games in the series are the best? The answer is simple: Jojo's Bizarre Adventure and Jojo's Bizarre Adventure: All Star Battle. Surprisingly, the series had a few games under its belt before the 2012 anime series, with one even released in the West. This is now one of the most well-known games of the franchise: 1998's eponymous Jojo's Bizarre Adventure. 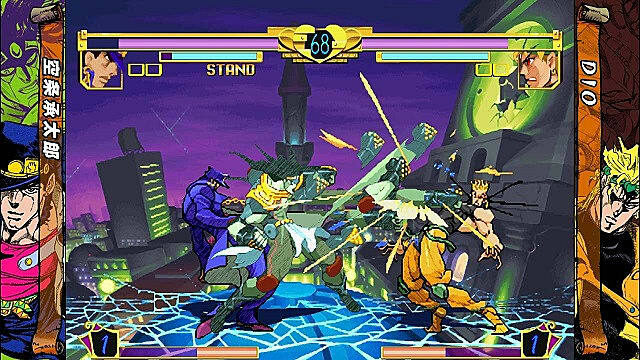 JJBA is a 2D arcade fighter that was later ported to the Dreamcast and the original PlayStation. 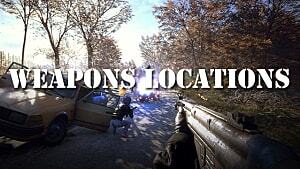 In 2012, an HD enhanced version of the game was released on PlayStation Network and Xbox Live Arcade, but was delisted in 2014 and is no longer available for download. Jojo's Bizarre Adventure was developed by Capcom and follows the formula set by most standard fighting games of the time, in which two characters fight using various attacks, techniques, and special moves to lower the other's health bar. Each character also has special super attacks that can be used once their super meter is filled from either dealing or taking damage. 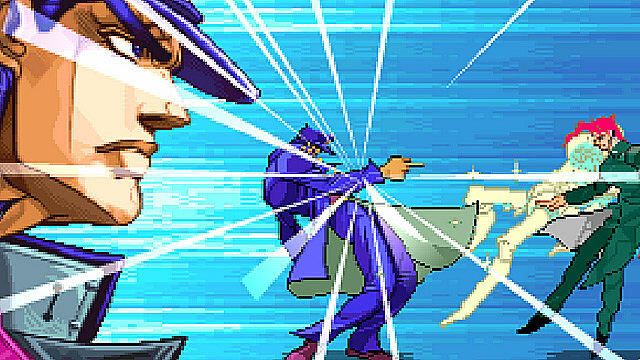 A unique feature of the game is that many characters have "Stands", supernatural psychic projections that are unique to each of them -- a concept first introduced in Jojo's Bizarre Adventure Part 3: Stardust Crusaders, and a staple of the series ever since. Only some characters have active stands, however, as other characters have passive stands, which don't translate well to combat. For example, Mariah and her stand, Bastet. The stand takes the form of an electrical outlet and magnetizes whoever touches it, causing metallic objects to be attracted to the victim. Some characters have no Stands at all, such as characters from Part 1 Phantom Blood and Part 2 Battle Tendency. They instead use other techniques and fighting styles. While Stands are mixed into each character's moveset, the majority of characters have an active Stand they can use to help them fight. When a player is using an active Stand character and calls upon said Stand, they can increase their attack power, use special techniques, receive other special enhancements --such as the ability to double jump -- and even have their Stand attack separately. However, active Stands are not as overpowered as they seem as stands will make the characters using them bigger targets since attacking a character's Stand will also cause damage to the user, which adds risk to using them. 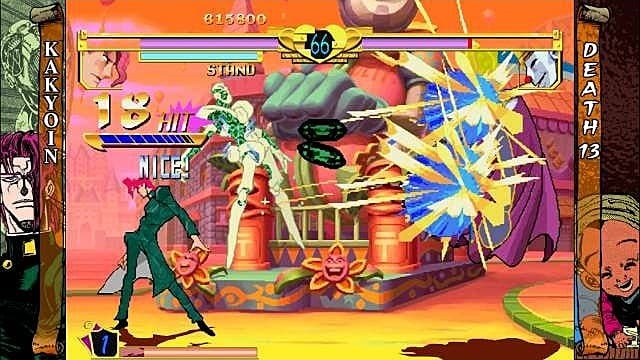 How long a Stand stays around is decided by the character's Stand Gauge, which decreases when the Stand is attacked and refills once the Stand retreats. If the gauge empties, it will cause a 'Stand Break,' which leaves the stand user temporarily stunned. 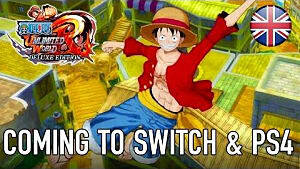 Another unique feature of Stands is "Blazing Fists" clashes -- similar to the beam struggles of some Dragon Ball Z fighting games or the jutsu clashes in the first Naruto: Ultimate Ninja Storm -- where two Stands clash against each other, requiring each player to mash buttons until one of them ultimately prevails. In addition to a Versus mode, the game features a Story Mode, which is loosely based on the story of the manga. It has unique special stages that replicate certain key scenes from the manga. The PlayStation version also has an exclusive Super Story mode, which adds assorted mini-games the player is required to beat in order to proceed. There are quite a few reasons why this is one of the best Jojo's Bizarre Adventure games. It was made at a time where Capcom was king of the 2D fighting game genre, with the ongoing popularity of arcade hits like Street Fighter 2 and Marvel vs. Capcom. Using past experience from the other fighting games they had recently made gave Jojo's Bizarre Adventure solid mechanics and a somewhat well-balanced cast of characters. 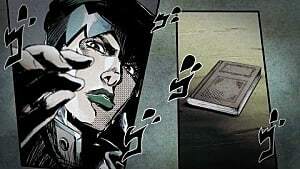 It's clear that Jojo's Bizarre Adventure was also created with fans in mind, containing a great amount of fan service, characters from part 1 Phantom Blood through Part 3 Stardust Crusaders, and even some unexpected characters, such as the aforementioned Mariah and Bastet, which left players and fans pleasantly surprised. 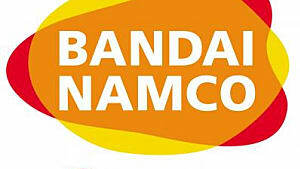 The other game on this list based on the anime and manga series is 2013's Jojo's Bizarre Adventure: All Star Battle for the PlayStation 3, developed by Bandai Namco Games. 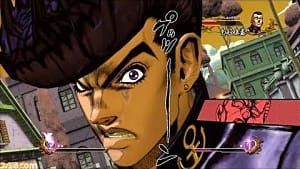 There was one game made before All Star Battle, called Giogio's Bizarre Adventure, a Japan-exclusive for the PlayStation 2, but that's a slow and clunky mess most fans disregard. 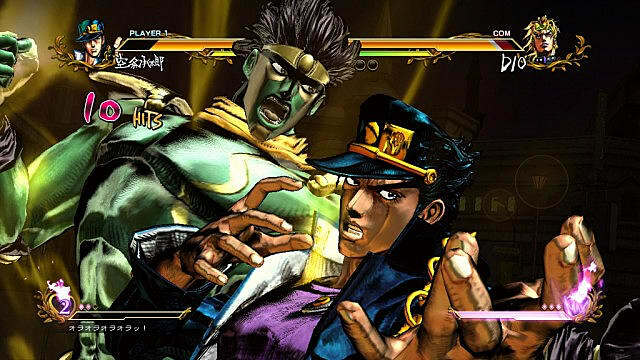 JoJo's Bizarre Adventure: All Star Battle is a 3D fighting game fought on a 2D plane, in which players can fight against each other using characters from the eight different parts of the series. All Star Battle was heavily influenced by the 1998 game and uses a somewhat similar gameplay style. The game features light, medium, and heavy attacks, a dodge button, and a "Style" button. In addition to special attacks and techniques with different directional inputs, each character in All Star Battle has a specific Battle Style, allowing them to use additional moves by pressing the "Style" button. There are six different types of styles in the game: Ripple, Vampirism, Mode, Stand, Mounted, and Baoh Armed Phenomenon. Several characters also have additional status bars and icons. Similar to the super gauge found in the 1998 game, attacking and receiving damage fills up a character's Heart Heat Gauge, which, when filled to either one or two levels, allows them to use different super attacks depending on how much their gauge is filled and which button input is chosen. Additionally, players can inconvenience their opponents by using taunts when they are knocked down, which will decrease the opponent's Heart Heat Gauge. The Heart Heat Gauge is also used in some Battle Styles and certain special techniques. In addition to super moves, there are Dramatic Finishes, which happen when a player is defeated by a super move in a certain area, replicating scenes from the manga. 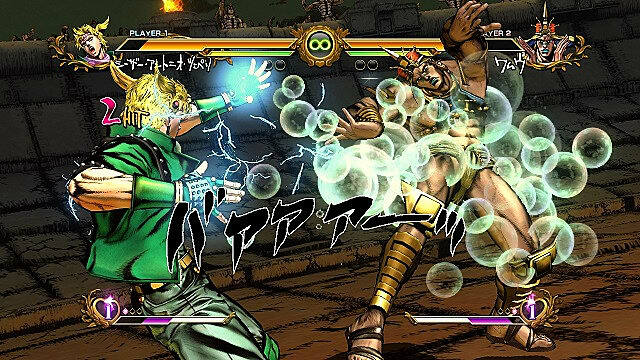 Rush Mode, similar to the "Blazing Fists" feature of Jojo's Bizarre Adventure, happens when two "Rush" attacks clash with each other and players have to successfully button mash their opponent to win. When a character's Stamina is running low, they can enter one of two modes, which can change the course of the fight when they're in a pinch. These two modes are Rumble Mode, which increases the character's attack strength and the speed that their Heart Heat Gauge refills, and Resolve Mode, which adds a temporary invincible armor to the same enhancements as Rumble Mode. Characters also have a Guard Gauge, which decreases as they block attacks. If the Guard Gauge is completely emptied by the opponent using a Guard Crush, then the defending character will be left entirely defenseless. The Guard Gauge can also decrease when Stylish Evades are used -- special dodge moves that make each character perform iconic poses from the manga. Several locations from the manga also feature health reducing hazards, which are activated if a character in knocked down in a certain area of the arena. All Star Battle features a few different game modes, too, the most notable of which are the Story and Versus modes. Story Mode allows players to go through an original story original inspired by the eight parts of the manga. 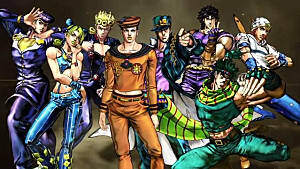 When first playing Story Mode, players control the protagonists of the series -- the Joestar family and their allies. After completing a part's Story Mode once, a new mode, named Another Battle, is unlocked, which allows the player to play as the antagonists in Story Mode matches. On top of all that, there are also a series of special challenges in each Story Mode Scenario, such as using a certain move or simply winning a match. Versus Mode features both local offline and online play in either free battles or ranked matches. 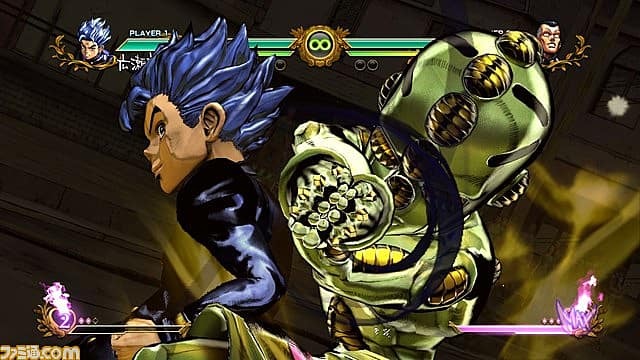 All Star Battle is one of the best Jojo's Bizarre Adventure games because it modernizes and improves upon the gameplay of its predecessor, and it has a lot to offer. Again, there is plenty of fan service in this game, shown through various character interactions, which both may or may not have occurred in the original manga. Featuring six different battle styles and plenty of different characters, All Star Battle also has diverse movesets that help make each character feel different. Being a large improvement upon its 1998 predecessor, the game is also fairly balanced between characters. With 32 playable characters on disc, as well as 14 extra downloadable characters, and a plethora of content, including an online mode, All-Star Battle has kept many fans of the series well satisfied. These are the two best games based on Jojo's Bizarre Adventure because of their quality, content, and fan appeal. 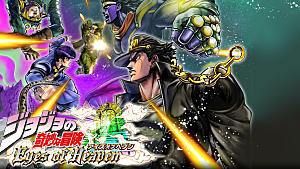 Even though the most recent Jojo's Bizarre Adventure game, Jojo's Bizarre Adventure: Eyes of Heaven, is a 3D fighter that doesn't have nearly as much charm as its predecessors, it's likely we'll see more high-quality fighting games in the near future, especially from such a beloved franchise. Do you agree with our picks? 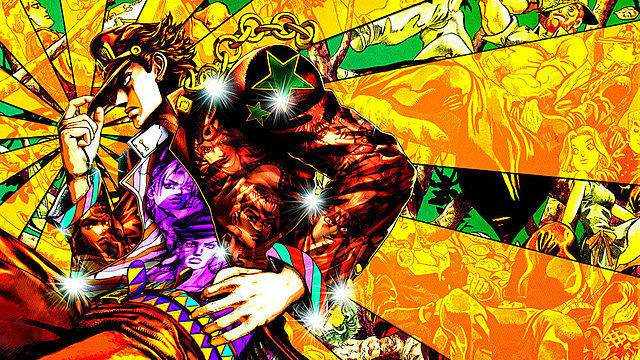 Which Jojo's Bizarre Adventure game do you like best? Let us know in the comments! Jojo: Eyes of Heaven new characters and release date revealed! Why is Jojo's Bizarre Adventure Being Sold in the US?